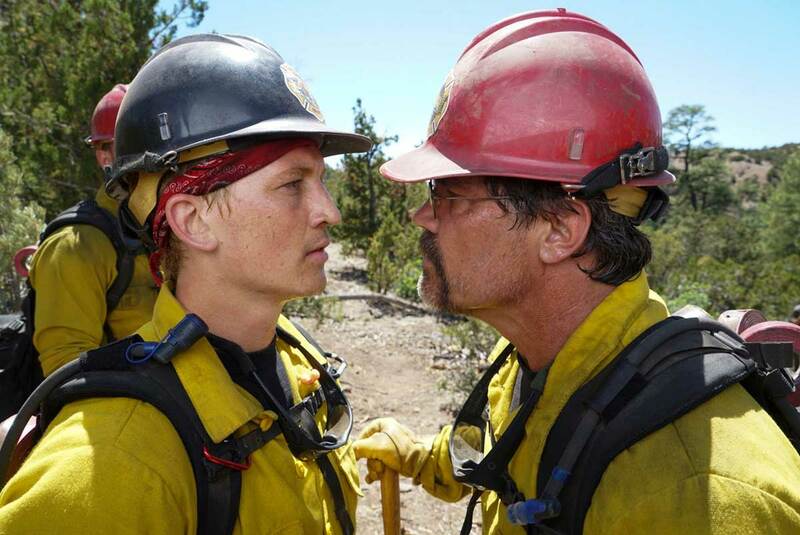 Only the Brave is based on the true story of the Granite Mountain Hotshots. The film is a behind the scenes look into the lives of 20 brave firefighters who risked everything fighting forest fires. Firefighters Brendan McDonough (Miles Teller), Eric Marsh (Josh Brolin) and Chris MacKenzie (Taylor Kitsch) are the primary focus of the film and their stories leading up to Yarnell Hill Fire from 2013. When I first saw the trailer for Only the Brave, I will openly admit that I didn’t have much interest in seeing it. In fact, when I started seeing television spots, I asked myself how could a film with such a great cast look so mediocre? Only the Brave is a hard film to promote because I generally don’t think there is much of a demand for films or television shows that focus on firefighters. This doesn’t mean that the story of Granite Mountain Hotshots isn’t worth telling but instead, will be is a hard sell to audiences and probably won’t do very well at the box office. There have been a handful of films made about firefighters and out of all of them, Backdraft seems to be the only one people talk about and love. Only the Brave is without question the best firefighter film since Backdraft and one that pays tribute to the brave men that sacrificed their own lives to protect thousands of others. It is an emotionally powerful film that comes off as true to life and will leave you in tears. While the film does show all 20 of the Granite Mountain Hotshots, the main focus of the film is on the lives of three of the twenty. Screenwriters Eric Warren Singer and Ken Nolan must have done a lot of research about these men in order to pick which of their stories should be the primary focus. While at first, I found myself wanting to learn more about all of these men, the idea of heavily focusing on only three of the twenty men was a smart way to not only tell this story but to also create a connection between some of these men with the audience. 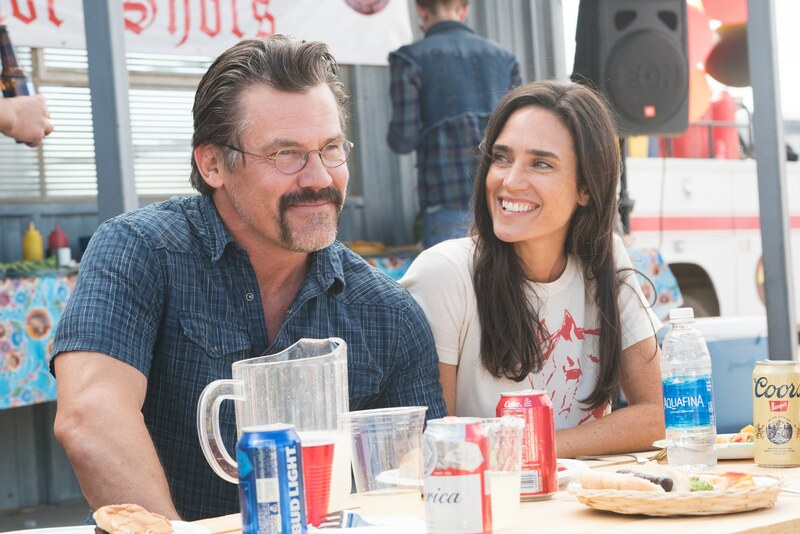 Josh Brolin plays Eric Marsh, the leader of the Granite Mountain Hotshots. Brolin becomes Eric Marsh and is playing a man with a passion for firefighting. He is brave and strong but not without faults. Marsh has a dark past which is slowly revealed over time. His passion for firefighting has put a huge strain on his marriage. The scenes between Brolin and Connelly are riveting, genuine and raw. You can feel and see Brolin and Connelly pour their hearts and souls into these scenes and are some of the best moments of the film. 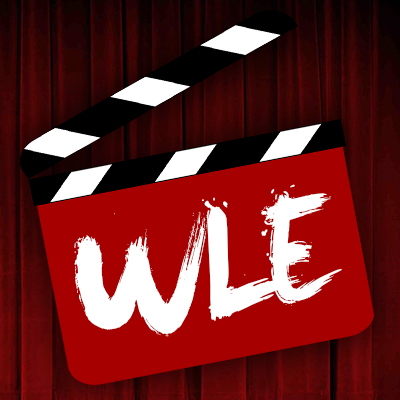 Miles Teller as Brendan McDonough is the film’s standout performance. This is without question, Teller’s best performance since Whiplash. As Brendan, Teller plays a flawed individual that is trying to change. While Brendan isn’t very likable at first, he begins to grow on you as the story progresses. He is the underdog but one that you can’t help but root for because he is trying to better himself. Teller has great chemistry with just about everyone he is paired with from Kitsch to Connelly. You would think that for a film about firefighting the scenes with the fires would standout but that isn’t the case here. It is the relationships between these men that leads to the film’s overall success. Don’t get me wrong, the firefighting scenes are well shot and scary to watch but they wouldn’t have worked as well as they do if it wasn’t for the relationships that this film so perfectly creates. 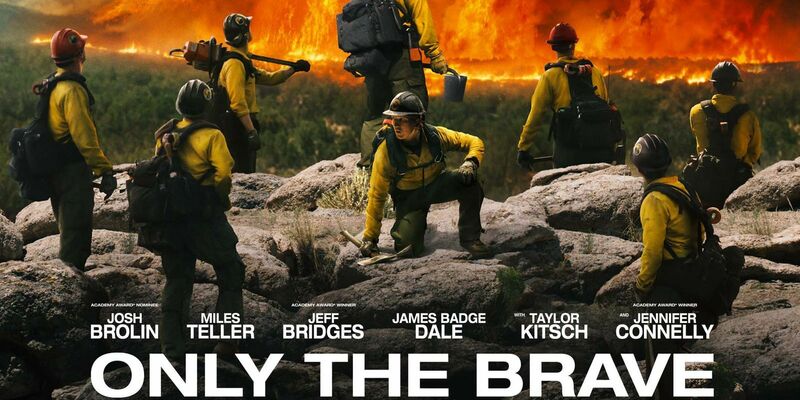 Only the Brave is a powerful tribute to the brave men who lost their lives protecting others in the Yarnell Hill Fire. Teller, Connelly, and Brolin deliver some of the best performances of their careers. I hope that audiences embrace this remarkable story. Only the Brave was a total surprise and one that will stick with you for days after seeing it. 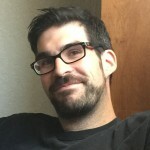 Scott ‘Movie Man’ Menzel’s rating for Only the Brave is an 8 out of 10.